There’s only one top destination I go to for my matcha green tea fixes, in the heart of Exmouth Market lies the cute Café Necco has been running since 2011. I have revisited the place many times, and it’s has improved with offering more ready to made food. I love how I can stroll in and just sit down and order and cake and tea. The fridge displays an array of freshly baked pastries mainly made using the ingredient matcha green tea. The time I came in, the chef was busy making a celebration cookie, decorating it bit by bit with extreme care. Head over to their website to view some photos http://www.necco.co.uk/tea_and_cakes.htm. 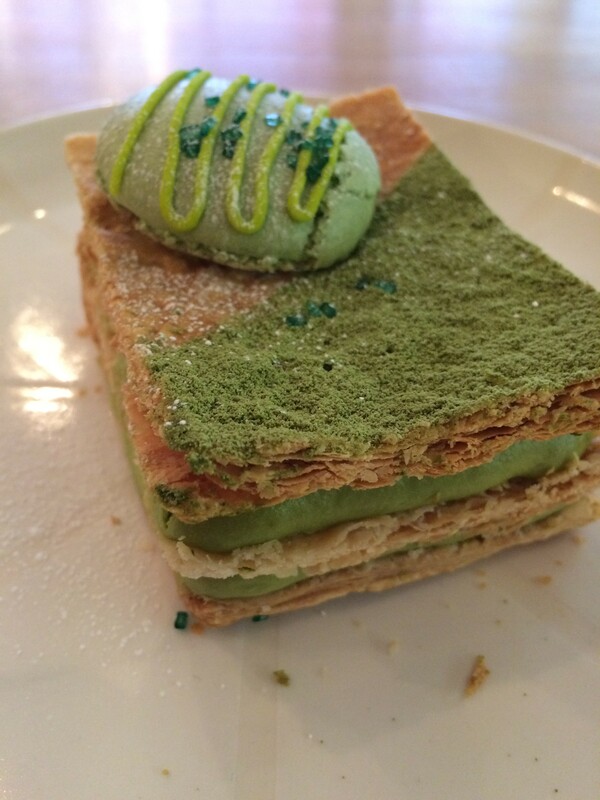 The pastry I chosen was a layered golden puff pastry, filled with green tea mousse and dusted with powder. Each bite delights with the sweet flaky puffs and bitter taste of green tea. 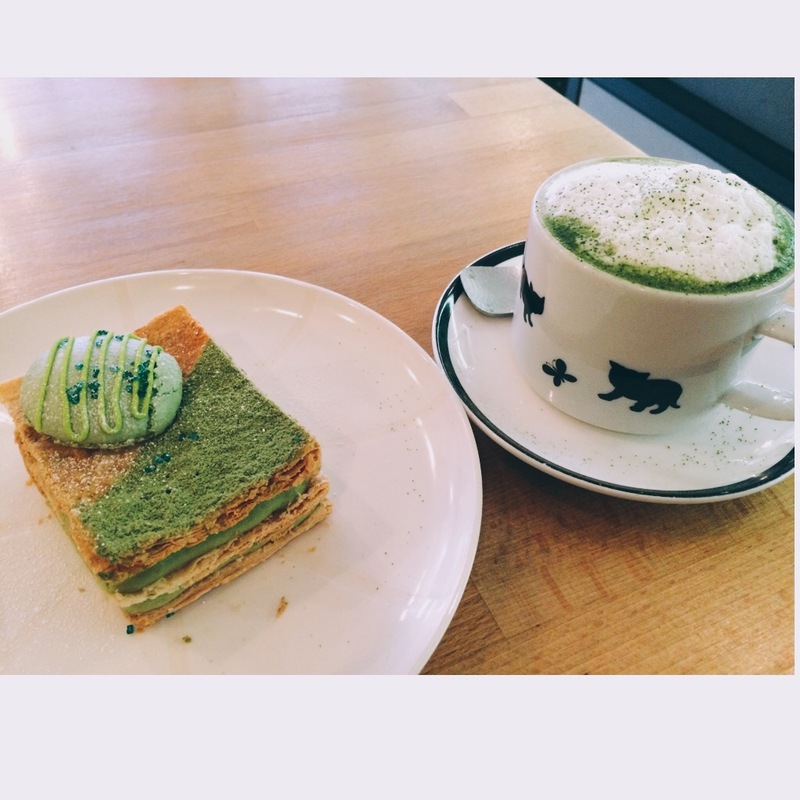 Another must is the green tea latte, since the café is named Necco, meaning cat. They have clay cups made with cat prints, and the whole experience feels very Japanese with the welcoming.